Whether you're looking to raise the profile of your beverage program, increase customer traffic or simply increase sales, Cordoba Coffee welcomes you to the most inspiring premium coffee program for retailers and food service providers. Are you a small home office or workplace with 10 employees or less? Get the perfect roast for every coffee connoisseur on staff, when you explore a range of products from Cordoba Coffee. We offer customized programs to our food service partners. 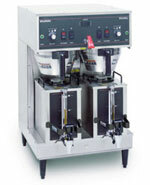 Cordoba Coffee offers coffee and machines to our short term or long-term partners. 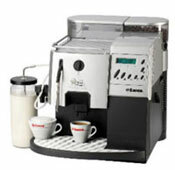 We offer traditional coffee and espresso style machines. Please Contact Us for more info. Need equipment? We offer ready-to-brew coffeemakers and coffee kits pre-filtered. Contact Us to explore Cordoba Coffee's small and home office business solutions. It is understood that more selections of any product category increase your potential sales. Introducing a broad choice of items to your consumer base is essentially making a bold statement of commitment to your customers and allows for increase sales for any existing customers to supply. That is why we constantly introduce new and exciting varieties of flavored coffee for retail wholesale and food service operations. In recent times we have seen large growth for gourmet coffees in retail environments in order to satisfy the demand of consumer. The main reason is that it is possible to offer such gourmet products at a reasonably low price in comparison to the smaller boutique coffee houses. Our retail brands are now available through many of the larger grocery chains. Please Contact Us to learn more about becoming a reseller. Contact Us for in-store opportunities.